If you took geology in high school, then chances are you remember learning something about how the Earth’s crust – the outermost layer of Earth – is arranged into a series of tectonic plates. These plates float on top of the Earth’s mantle, the semi-viscous layer that surrounds the core, and are in constant motion because of convection in the mantle. Where two plates meet, you have what it is known as a boundary. These can be “divergent” or “convergent”, depending on whether the plates are moving apart or coming together. Where they diverge, hot magma can rise from below, creating features like long ridges or mountain chains. Interestingly enough, this is how one of the world’s largest geological features was formed. It called the Mid-Atlantic Ridge, which run from north to south along the ocean floor in the Atlantic. The Mid-Atlantic Ridge (MAR) is known as a mid-ocean ridge, an underwater mountain system formed by plate tectonics. It is the result of a convergent plate boundary that runs from 87° N – about 333 km (207 mi) south of the North Pole – to 54 °S, just north of the coast of Antarctica. Like other ocean ridge systems, the MAR developed as a consequence of the divergent motion between the Eurasian and North American, and African and South American Plates. In the North Atlantic, it separates the Eurasian and North American Plates; whereas in the South Atlantic, it separates the African and South American Plates. The MAR is approximately 16,000 km (10,000 mi) long and between 1,000 and is 1,500 km (620 and 932 mi) wide. The peaks of the ridge stand about 3 km (1.86 mi) in height above the ocean floor, and sometimes reach above sea level, forming islands and island groups. The MAR is also part of the longest mountain chain in the world, extending continuously across the oceans floors for a total distance of 40,389 km (25,097 mi). The MAR also has a deep rift valley at is crest which marks the location where the two plates are moving apart. This rift valley runs along the axis of the ridge for nearly its entire length, measuring some 80 to 120 km (50 to 75 miles) wide. The rift marks the actual boundary between adjacent tectonic plates, and is where magma from the mantle reaches the seafloor. Where this magma is able to reach the surface, the result is basaltic volcanoes and islands. Where it is still submerged, it produces “pillow lava”. 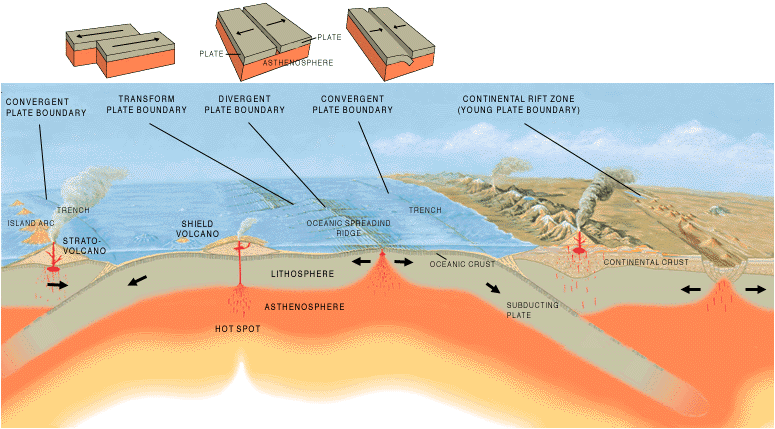 As the plates move further apart, new ocean lithosphere is formed at the ridge and the ocean basin gets wider. This process, known as “sea floor spreading”, is happening at an average rate of about 2.5 cm per year (1 inch). In other words, North America and Europe are moving away from each other at a very slow rate. This process also means that the basaltic rock that makes up the ridge is younger than the surrounding crust. As noted, the ridge (while mainly underwater) does have islands and island groups that were created by volcanic activity. In the Northern Hemisphere, these include Jan Mayen Island and Iceland (Norway), and the Azores (Portugal). In the Southern Hemisphere, MAR features include Ascension Island, St. Helena, Tristan da Cunha, Gough Island (all UK territories) and Bouvet Island (Norway). Near the equator, the Romanche Trench divides the North Atlantic Ridge from the South Atlantic Ridge. This narrow submarine trench has a maximum depth of 7,758 m (25,453 ft), one of the deepest locations of the Atlantic Ocean. This trench, however, is not regarded an official boundary between any of the tectonic plates. The ridge was initially discovered in 1872 during the expedition of the HMS Challenger. In the course of investigating the Atlantic for the sake of laying the transatlantic telegraph cable, the crew discovered a large rise in the middle of the ocean floor. By 1925, its existence was confirmed thanks to the invention of sonar. By the 1960s, scientists were able to map the Earth’s ocean floors, which revealed a seismically-active central valley, as well as a network of valleys and ridges. They also discovered that the ridge was part of a continuous system of mid-ocean ridges that extended across the entire ocean floor, connecting all the divergent boundaries around the planet. This discovery also led to new theories in terms of geology and planetary evolution. For instance, the theory of “seafloor spreading” was attributed to the discovery of the MAR, as was the acceptance of continental drift and plate tectonics. 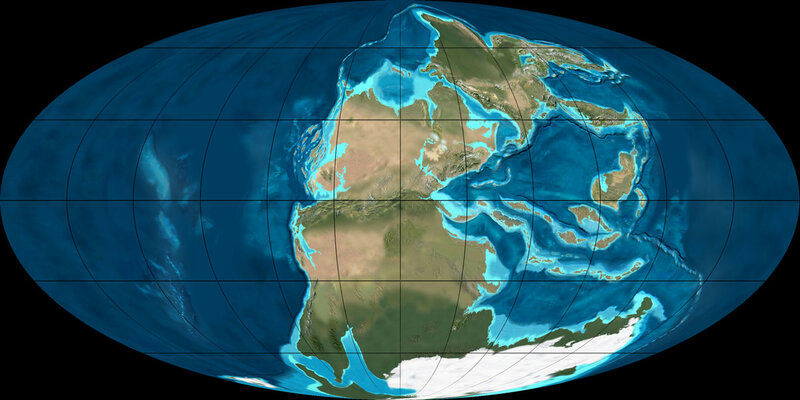 In addition, it also led to the theory that all the continents were once part of subcontinent known as “Pangaea”, which broke apart roughly 180 million years ago. Much like the “Pacific Ring of Fire“, the discovery of the Mid-Atlantic Ridge has helped inform our modern understanding of the world. Much like convergent boundaries, subduction zones and other geological forces, the process that created it is also responsible for the world as we know it today. Basically, it is responsible for the fact that the Americas have been drifting away from Africa and Eurasia for millions of years, the formation of Australia, and the collision between the India Subcontinent and Asia. Someday – millions of years from now – the process of seafloor spreading will cause the Americas and Asia to collide, thus forming a new super continent – “Amasia”. We have written many interesting articles about Earth here at Universe Today. Here’s 10 Interesting Facts About Earth, What are Plate Boundaries?, What are Divergent Boundaries?, Mountains: How are they Formed?, What is a Subduction Zone?, What is an Earthquake?, What is the Pacific Ring of Fire?, and How Many Continents are There? 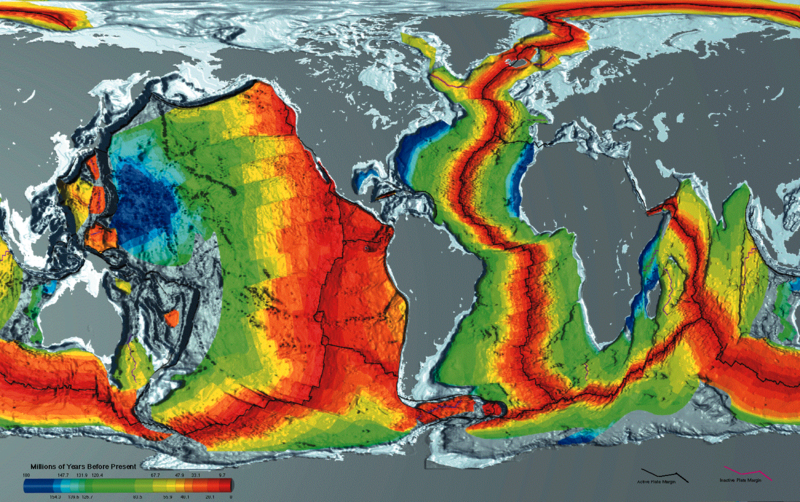 For more information, check out the Geological Society’s page on the Mid-Atlantic Ridge. Astronomy Cast also has episodes that are relevant to the subject. Here’s Episode 51: Earth and Episode 293: Earthquakes. Previous PostPrevious Who Discovered Uranus?